Imagine yourself sitting at the edge of a very still lake…..there is no one around… maybe a few birds flying home to their nests….. the setting sun casts a golden hue over the sky… there is absolute silence, other than the odd bird call….. There is a sense of acceptance at the day gone… but a tiny part of you still longs for it…an unresolved contradiction..
My journey with Marwa began as it does with most students of music – I learnt the music, learnt the rules and played it in text book fashion. However, looking back, I realise that I only “got” the raga a few years ago when I started on it afresh with my teachers Ustad Shahid Parvez and Pt. Sugato Nag. Prior to that, I was missing the essential ingredient: the feeling of “resolution” in the raga. Mentally, I think it took me about 10-12 years of sporadic “visits to Marwaland” before I was finally able to internalise it. This is a journey which takes time. Marwa is not a raga with obvious appeal -(hence Bollywood has largely left it alone – the only recent use of Marwa was in 2 lines of a song from a film called Sathiya – music by AR Rahman) you have to really spend a great deal of time with it to absorb the point of this raga. Once you have done that, you’ll wonder why you didn’t do this sooner. However, age and life experiences are crucial for this journey – so I think I started on Marwa at the right time…. Marwa is an unbelievably hypnotic raga. As is the case for me, I usually stay with a raga for months, sometimes a year or so. However, with Marwa, you’re either in it or completely out of it. You have to mentally commit to this raga. This grand raga is not like say Bihag (a major raga by itself) where you can sometime briefly “flirt” with related variants (e.g Maru Bihag) while studying the raga. Marwa, once you’re in, is a deep emotional and spiritual dive. It leaves no room for any other shade of musical colour. Once you’re in, you’ll be consumed by it. It will take over your mind. Once you’re out of it, I’ve found that hearing it can actually sound discordant and disturbing. I then pause, and get back into it – it gradually comes back to me in its full glory. I marvel at the genius of those who created/discovered this raga – this is human art at its highest form. I share this opinion for most of Hindustani music – especially the major ragas. These are breathtaking creations/discoveries – the very essence of the human soul. Marwa is usually appreciated in its full glory with some life experience. You need to travel and see undisturbed sunsets to understand what this raga means. Marwa, as with Darbari, is a raga unique to the Hindustani system. While counterparts exist in Carnatic music, it is mandatory to have a provision for a slow development of the raga and plenty of silence. The essence of these ragas is lost at higher speeds. These are meditative ragas – you dwell upon each note in its full glory – and in that moment, time stands still. You cannot rush to execute gamakas, murkis and other embellishments – nor rush ahead with technical wizardry. 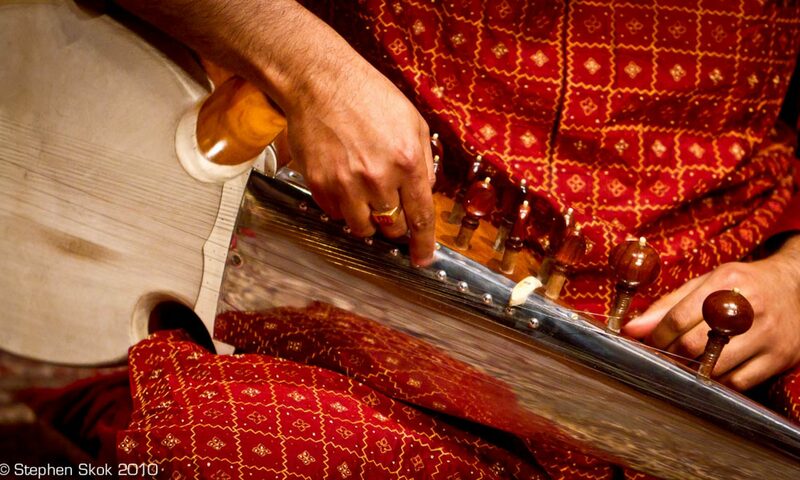 You must be comfortable with silences and pauses when handling these ragas. Marwa is an “advanced” raga, one which takes much time and effort to understand. It is an evening melody, grave in its approach. However, once understood, it’s very hypnotic in its appeal, partly because it is a raga of unresolved contradictions. While a lot of texts refer to the absence of Sa in Marwa, that is actually not correct in practice. Sa is very much used as a resting point coming down from Re. The second reason why Sa is constantly running through Marwa is because of the Sa in the taanpura (drone) and in the case of instrumentalists, their chikari and jod strings which are tuned to Sa. So every time the musician touches these strings, Sa is inserted into the melody. Other musicians have felt emotions of anxiety and depression when listening to this raga. Others feel it has a heroic flavour to it, and recommend that it be played slowly. As with all Indian ragas, the essence of the raga is usually exposed at slow speeds, and Marwa particularly cannot be appreciated at higher speeds. This section deals with very subtle techniques of handling a raga which make a big difference in its expression. Interestingly, while I’m of the opinion that vocal music trumps instrumental music any day, in case of Marwa, stringed instruments (sarod/sitar/surbarhar/sarangi) allow a unique expression of this raga, which sounds sometimes better than pure vocal music. The key is in the ability of these instruments to produce three sounds at the same time: the tanpura/chikari tuned to Dha and Sa, the Sa Jod/Chikari strings and the main melody being played. Together, they create a hypnotic effect and sounds very impressive when done right. Marwa is often played on the Surbahar (bass sitar). The sarod naturally lends itself well to this raga, so it’s curious that the number of published recordings on the sarod are very few, testimony to the difficulty of the raga. Some of the nuances that I’ve described above have been taken from the sitar/surbahar form. Another composition which also illustrates snippets of improvisation pathways: vistaar, bols, peshkar etc. Done with full content, this could extend the playing time in the slow cycle to 15-20 minutes. The first one, while sung by Kirana school style exponents e.g Venkatesh Kumar, could be easily ascribed to other schools. The composition is by Adarang – pen name of Firoz Khan (18th century) and it contains some beautiful movements which underscore Marwa very well. The next one is again from a vocal background – I studied this with Sugatoda – it’s taken from Rampur Sahaswan and sung by Rashid Khan. The composition has obviously been modified for the sarod, but the key feature of this composition is that it starts from the lower octave and jumps out on higher part of the middle octave in the first line – hence its uniqueness. The third one is arguably the most famous Marwa composition: sung by the legendary Ud Amir Khan: Guru Bina Gyan. You can find Ud Amir Khan’s monumental piece on Youtube. The ease, speed, and effortless flow of the composition is incredible !!. I’ve of course played it at a faster speed and not played the antara (2nd part) as per the great Ustad’s original rendition. The antara is quite complex and needs to be simplified for the sarod. The next piece is more of a technical piece by Ud Shahid Parvez with a different point of emphasis – it usually confuses tabla accompanists and takes some getting used to. The next one is taken from Ustads Nazakat and Salamat Ali Khan of the Sham Chaurasi Gharana. Similar compositions have been sung by others. The key point of this composition is that it highlights Re very prominently in the second line, anchoring the composition in classic Marwa. The last one is my attempt at a composition. I’ve had two influences on this: one is Ud Vilayat Khan’s composition and the other one is a duet between Ud. Vilayat Khan on sitar and Ud Munir Khan on sarangi. My composition takes bits from each and is designed to be executed easily on the sarod. Very much a work in progress.